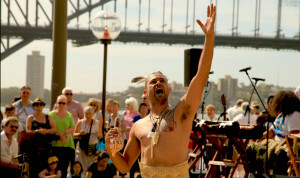 For thousands of years, the land that the Sydney Opera House is built on was a gathering place for the Gadigal and Eora people and Bennelong Point was called Tubowgule which literally means “where the magic waters meet”. This October, Sydney will be bringing back some of that magic with Homeground, a festival celebrating the very best First Nations artists from Australia and around the world. There’s going to be music, dance, food, workshops and markets over two exciting days. Be on the lookout for food demonstrations by chef Clayton Donovan, plus performances from Amrita Hepi, Leonard Sumner, Airileke, Trinity Roots, East Journey and Dubmarine. There’s also going to be Australia’s first ever national Indigenous dance competition. Stanley Kubrick was a master of cinema responsible for some of the 20th century’s most dazzling films. His work has come to represent film making at its most astonishing, challenging, and psychologically spellbinding and the Orpheum’s festival is your chance to catch a few (or all) of his classics back on the big screen. The Hayden Orpheum will be playing all 13 of his timeless films from A Clockwork Orange to The Shining, Dr. Strangelove and Full Metal Jacket. There will also be a special screening of AI: Artificial Intelligence – one of the films Kubrick was working on prior to his death and subsequently finished by Steven Spielberg. Sydney’s favourite nightly dinner venue is back with another year of mouth-watering noodles under the glittering fairy lights of Hyde Park. With all the colour, sounds and smells of an Asian hawker market plus the buzz of a huge outdoor festival, the Night Noodle Market is a treasured Sydney tradition. With more than 40 food stalls, a selection of bars and nightly entertainment, this year is set to be bigger and better than ever before. after pARTY is a monthly shindig that kicks on from the exhibition openings of local galleries. Held on the first Wednesday of each month, after pARTY celebrates contemporary artists and their practices featuring a different artist each time. This week is the eighth and final edition for 2016 featuring a product launch for ‘Ascent’ the latest in beauty technology, as well as celebrating Australian dancer and choreographer Angela Goh. The brainchild of curators Anna May Kirk and Nerida Ross, after pARTY is known to get a little crazy and sometimes a little naked (classic artists). Don’t miss your last chance to have a pARTY for the year! This is the last week of the Lavazza Italian Film Festival so it’s your final chance to witness the beauty, romance and magic of the Italian film industry. Palace Verona, Chauvel Cinema and Palace Norton Street are the three venues where you can catch all the action. There is still time to see the festivals featured highlights including Sweet Dreams, the world premiere of The Space Between, and a restored screening of Roman Holiday – the film that skyrocketed Audrey Hepburn to fame. Molto bene!